The Taoiseach Enda Kenny said Budget 2017 is the first in a series of budgets that are focused on what the public said was important. 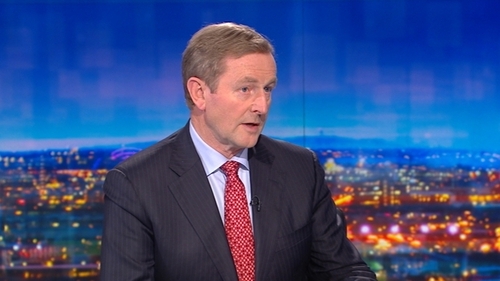 Speaking on RTÉ News, Mr Kenny said it was based on continued prudent management of the economy that takes into account coming challenges such as Brexit. The Taoiseach said he would have liked to be able to do more but denied that the Budget lacked vision. He said prudent economic management was important in an internationally fragile climate. In relation to whether Budget 2017 could be affected by the value of sterling and Brexit, Mr Kenny said we have no control over this detail, but he said what could be done is to ensure protections are in place, such as those announced today, for Irish companies. When asked whether or not this would be his last budget, the Taoiseach said his agenda was very full in terms of the Budget and Brexit. He said he hoped to be around for the announcement of Budget 2018. Earlier, Minister for Finance Michael Noonan insisted that the first-time buyers initiative announced in today’s Budget will not drive up the cost of houses. Speaking on RTÉ’s Six One News, Mr Noonan, who said all partners in Government agreed on the “main lines” of the budget, explained that the Government is targeting starter-homes. A help-to-buy scheme is set to provide a rebate of income tax paid over the previous four tax years up to a maximum of 5% of the purchase price of a new home up to a value of €400,000 to first-time buyers of new houses. "Where we are targeting is starter homes, the kind of three bedrooms semi-detached in estates; the kind of homes that many of us started our family life in,” he said. "And they are not there at all, now, so it's impossible to say that prices will go up because very few of these houses exist. Where the market is correcting is in houses that are more expensive than that." 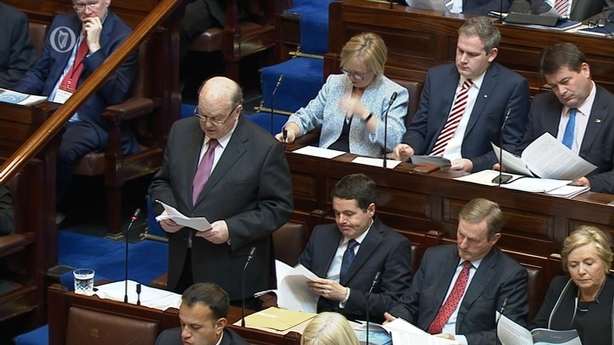 Speaking earlier in the Dáil, Mr Noonan said it was his sixth Budget since 2011 and that the economy is in good shape and growing strongly. The Government has sought to boost economic recovery by cutting taxes and increasing spending in its €1.3bn Budget for 2017. There are over 2 million people in work and that will grow by a further 43,000 people this year. This compares to fewer than 1.1 million people at work in 1989, Mr Noonan said. Jobs are being created in all sectors of the economy, the minister added, saying that instead of depending on the Troika the economy is now in a sustainable position. Tax revenues have been rebuilt and more can be invested in public services, he said. Mr Noonan also said he was announcing about €500 million of tax cuts and increasing tax revenue by €195 million. He said that overall the Budget package of €1.3bn favours expenditure increases over revenue deductions by three to one. 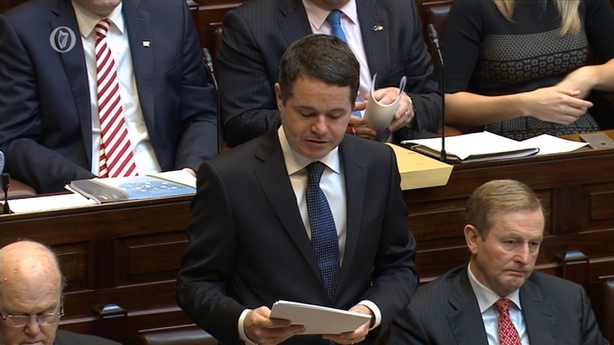 The Government will set aside up to €1bn every year for a "rainy day" fund. This will be used by the Government of the day "in a counter-cyclical manner", the minister added. Mr Noonan told the Dáil that the Government must budget prudently while it prioritises the repair of the country's public services after years of under-investment. The minister said that his department is forecasting GDP growth of 4.2% in 2016 and 3.5% for next year. Mr Noonan revealed breaks for tourism, food and agricultural businesses most directly hit by the UK's decision to pull out of the European Union. "Whatever the final settlement, what we know with certainty is that Brexit has increased risk to the Irish economy and, as well as introducing specific measures to assist particular sectors of the economy, we must also put in place safety nets to protect us against future economic shocks," he said. Mr Noonan said "economic shock absorbers" would allow Ireland deploy resources to reduce or eliminate the impact of future economic shocks linked to the EU referendum result. - A new help-to-buy scheme for first-time house buyers struggling to get on the property ladder, giving a 5% rebate of up to €20,000 over four years on new houses. - Further cuts to the three lowest rates of the Universal Social Charge, of 0.5%. - 50 cent tax added to cigarettes, bringing major brands to more than €11 a packet. - Freeze on the reduced tourism and hospitality VAT rate of 9%. - A new sugar tax on soft drinks to be introduced alongside the UK in April 2018. - A two-year extension to the home renovation tax-break scheme credited with kick-starting the construction industry. - An affordable childcare scheme with both means-tested subsidies for children aged between six months and 15 years and universal subsidies for all children aged six months to three years, to be introduced next September. - A €5-a-week rise in the State pension and all other weekly social welfare payments - including the carer's allowance, disability allowance and jobseeker's benefit and allowance. - An accelerated garda recruitment drive, taking on 800 new officers next year. Minister for Public Expenditure and Reform Paschal Donohoe said a number of Government departments and agencies would be given more money to deal with the threat of Brexit, not least the Department of Agriculture, Food and the Marine which is getting an extra €119 million. "While Brexit has implications for us all, it is our rural and regional communities who may be looking with most anxiety to the triggering of Article 50 of the Lisbon Treaty by the British government," he said. "This is a reflection of the concerns of people in some parts of our country where alternative employment may be scarce were they to lose their job, or where investment has historically been lower than in our larger cities," he added.